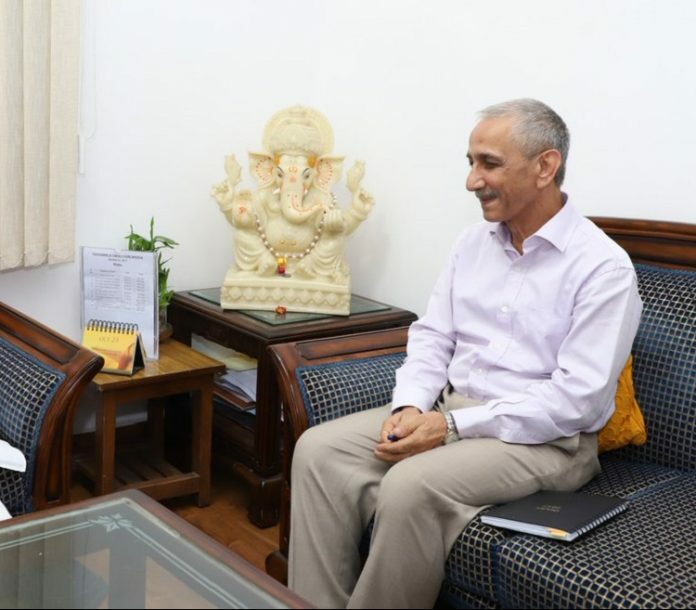 New interlocutor Dineshwar Sharma met mainstream political delegations on his three-day visit to Srinagar, and will visit Jammu now. New Delhi: The NDA government at the Centre will have to prove its seriousness in taking forward the dialogue process in Kashmir and bridging the trust deficit in the troubled region – that is the first sense of mainstream political leaders who met new interlocutor Dineshwar Sharma when he visited Srinagar for his first visit. Sharma, during his three-day visit which concluded Wednesday, spoke to an estimated 55 delegations from political parties, youths, cross-LoC traders and panchayats. However, the tourism industry kept away, even after a formal invite was sent to them. While the Hurriyat Conference boycotted Sharma’s visit, mainstream leaders asked the interlocutor to rein in “contradictory statements” by BJP leaders. The first step towards starting a dialogue in the Valley, they said, was to promote “confidence-building measures” to “foster trust in the dialogue”. The ruling Peoples Democratic Party was represented at its meeting with Sharma by vice-president Mohammad Sartaj Madni, general secretaries Nizamuddin Bhat and Qazi Afzal, and senior leaders Mohammad Khurshid Aalam, Mir Fayaz, Raja Manzoor, Abdul Rahim Rather, and Mohammad Abbas Wani. “Madni reminded the interlocutor about the trust deficit which impedes any good initiative for peace and resolution. He desired that Centre should do everything possible to gain the confidence of the people and stakeholders in order to sustain the process of dialogue till every stakeholder is willingly engaged (sic),” the PDP, which rules the state in alliance with the BJP, said in a press statement. Sharma also called upon former CM and the working president of the National Conference, Omar Abdullah, at his residence, and claimed the latter’s support. Speaking to the media in Srinagar, he backed his father and senior leader Farooq Abdullah’s statement that they “didn’t expect much” from the new interlocutor. “By saying that demanding autonomy within the state is like asking for azadi [freedom], the Centre has quashed our expectations already,” Omar said. He also suggested that Sharma should be more active in his approach and not sit at the state guesthouse and wait for people to come and meet him. CPI(M) leader Mohammad Yousuf Tarigami met the interlocutor along with independent MLA Hakeem Mohammad Yaseen and Ghulam Hassan Mir Wednesday morning. He also met J&K Pradesh Congress Committee president G.A. Mir. “He listened very patiently, but we feel the outcome depends on the Government of India. It is not Sharma, but how serious the central government is,” Tarigami told ThePrint. “Since his appointment, certain voices have suggested that this is a non-serious exercise. We told him that this attitude lowers his credibility, and the government must ensure dialogue is serious and is sustained,” he added. “We told him Kashmir is a vexed problem. We believe force or violence is no solution, but dialogue is. This is not a law and order issue, but a historical issue, which deserves to be addressed,” Tarigami said. He also said a “suggestion was made that Prime Minister Narendra Modi must take the Parliament into confidence and assure the people of the Valley that Article 370 and 35A must be saved from further dilution”. The delegation led by Tarigami also asked for a credible judicial commission to look at cases of human rights violations and political prisoners. “We also demanded withdrawal of cases against the youth who participated in mass protests in the last few years. They must be given one more chance,” Tarigami said. Sharma also met Engineer Rashid, the firebrand MLA representing Langate in north Kashmir. The interlocutor will now head to winter capital Jammu Thursday.